Travelpro's origin story is pretty cool. 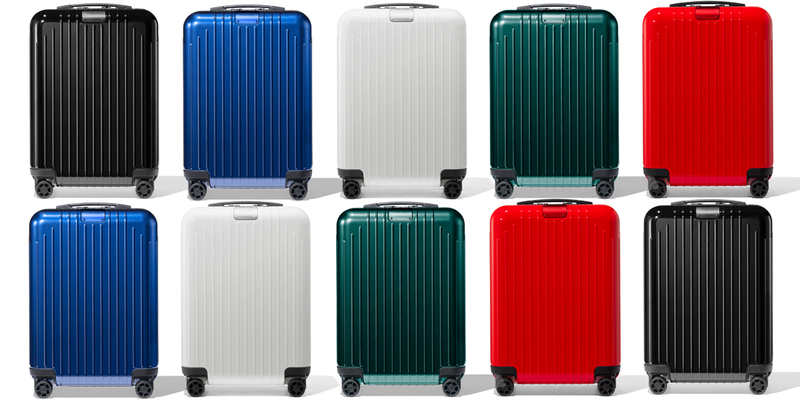 The American brand got its start when Bob Plath, then a 747 pilot for Northwest Airlines, was determined to fix a problem he was all too familiar with: luggage that just couldn’t keep up with its jet-set owner. 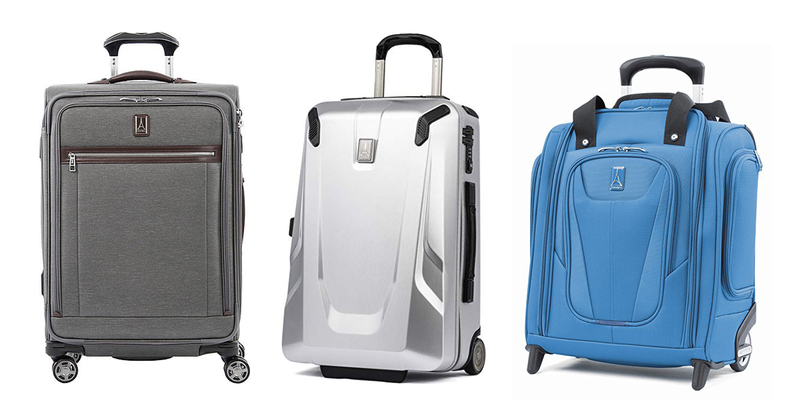 So he created a two-wheel carry-on suitcase that could be rolled upright with a telescoping handle. And boom! The Rollaboard was born. Fellow pilots and flight crews went bonkers over the new invention, passengers soon followed, and Travelpro's bag became the go-to for globetrotters. That status lives on—Today, Travelpro is the brand of choice for more than 90 airlines around the world. Travelpro’s approach is more about function than fashion, which isn’t a bad thing—after all, this is a label launched by a pilot and adored flight crews. Cases are primarily made in black, but rich neutrals like chocolate, moss green, burgundy, navy, and slate occasionally make an appearance. The brand’s underseat carry-on is even available in a sweet dusty pink. Surface finishings are kept simple and mainly include the company’s minimal logo plaque depicting the Eiffel Tower. The brand’s overall look is clean and understated; the consummate professional, if you will. 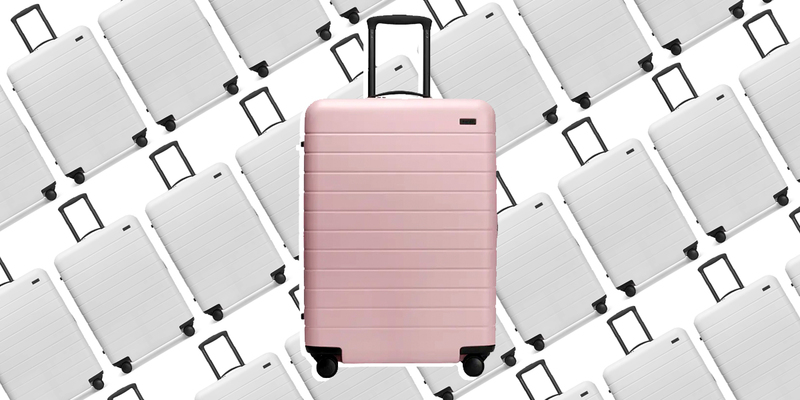 Fashion(ish) meets function in this medium-sized suitcase that’s meant to be checked. This minimalist bag is made from high-density nylon that's been treated to protect against scratches and discoloration. The combo of a strong aluminum extension handle and four spinner wheels makes for super-easy maneuvering. (And leather handles on the top and sides are good for grabbing and lifting.) 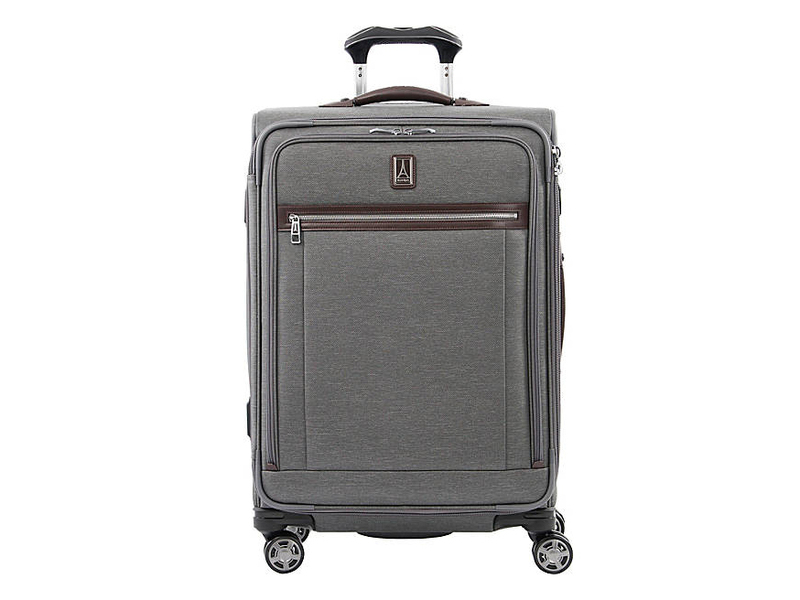 Inside the case, there are tie-downs, accessory pockets, and a built-in, fold-out suiter that keeps clothes wrinkle-free. (And negates the need for a garment bag. Gold star.) The expansion option gives an extra two inches of packing space. The big draw here is in the product name: underseat. That's right, this compact case can stow away above or below your seat (a blessing for people five-two and under). 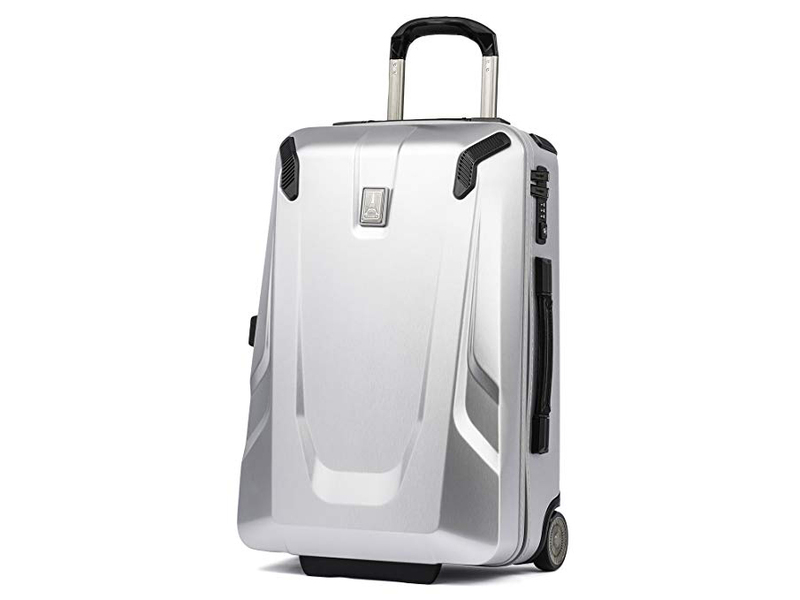 As with the Platinum Elite suitcase, this bag is coated to protect it from stains and spills, and here the inner lining is also protected from moisture. Other interior features include a padded tech sleeve and a detachable wet pocket that can be hung up as a toiletries bag while traveling. Note that this style has two wheels, not four, and they are skate wheels, not spinners. 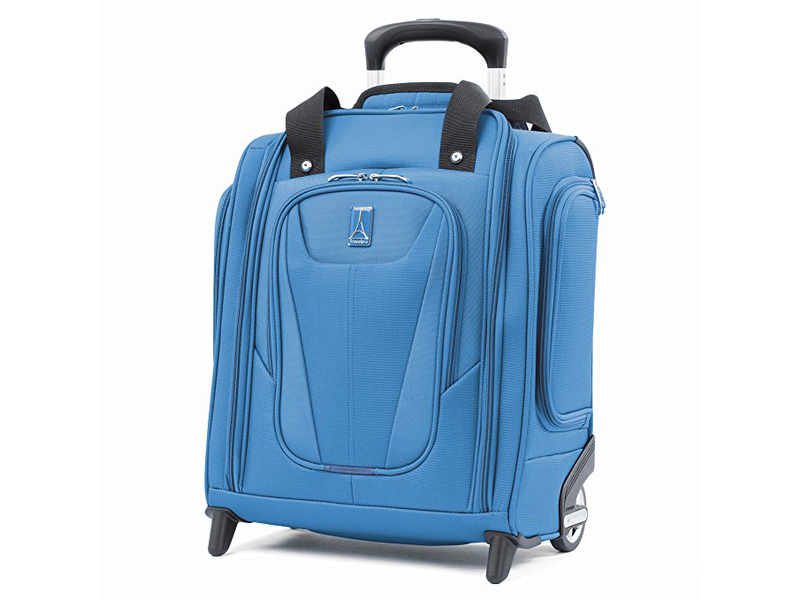 However, its rear strap fits around the handle of a spinner suitcase, so stacking is a cinch. 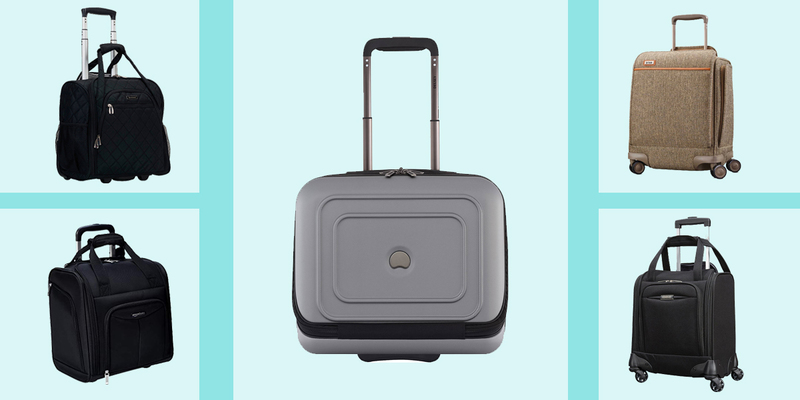 This carry-on case is made from crack-resistant polycarbonate and has a narrow, angled shape—a big help for shoving into an overhead without jamming up the line down the aisle behind you. Our favorite bit is the external USB port, so our phone's battery never turns red when we're on the move. Other details include a TSA-approved lock, an extension handle with three lengths, and two easy-glide wheels (not spinners).